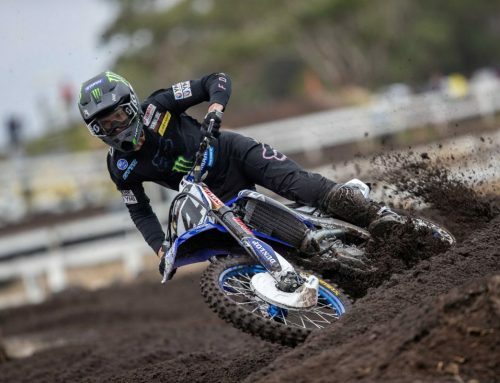 Dean Ferris claimed his fifth MX1 (450cc) round win in a row, at the Murray Bridge round of the MX Nationals, but the dream of a perfect season has been snatched away after he finished with 1-2 results in another successful day for the CDR Yamaha Monster Energy Team star. 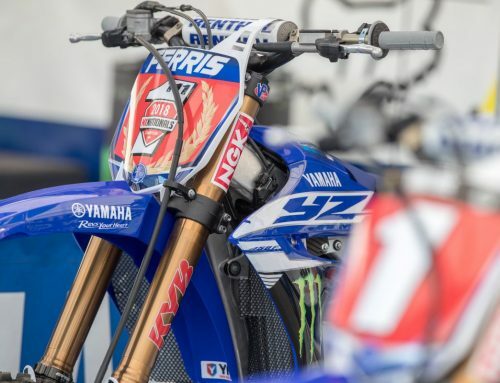 Ferris had won the first eight races of the season at the opening four rounds and the talk of the pits became to swing towards a perfect season for the two time and current MX1 champ. 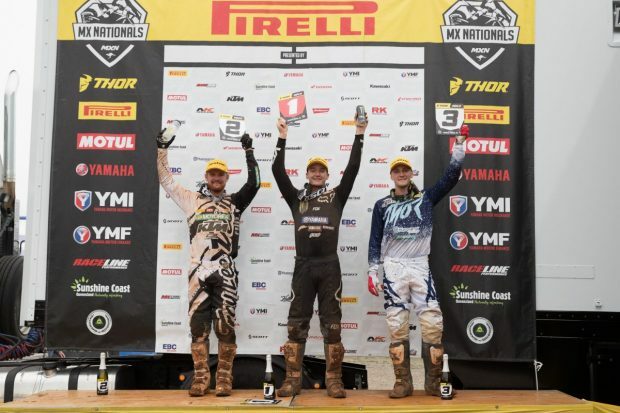 While Ferris wasn’t entertaining the pit chat, the rumblings were around but that all came to a holt on Sunday afternoon when he trailed Kade Mosig across the finish line by 1.5 seconds in enthralling battle throughout moto two on Sunday afternoon. 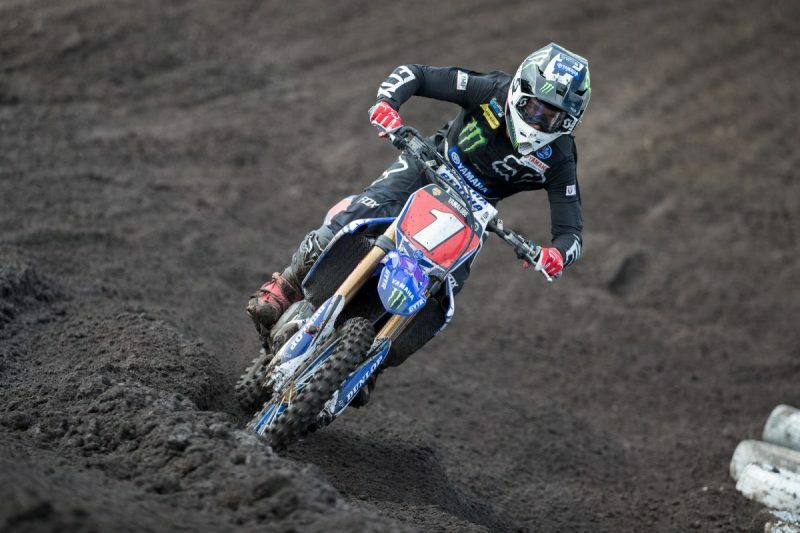 But a 1-2 day for Ferris is far from the end of the world as he again snatched another round victory and increased his lead in the MX1 championship. With the series now taking a four-week break, Ferris can now recharge his body and mind after a busy start to the 2018 season and work towards a strong finish to the back half of the MX Nationals. “How can you not be happy with a 1-2 result and a round win?” Ferris questions from the podium. “I would love to win every race I enter but sometimes things happen, sometimes other riders ride well, sometimes it just wasn’t meant to be, but I far from disappointed as I feel like my riding is good and the bike and team are working well. “Kade rode a great race and I actually enjoyed being in a battle. It gives me motivation to know that I have to ride my best to win these races and I will work even harder to increase my speed and fitness during the break. 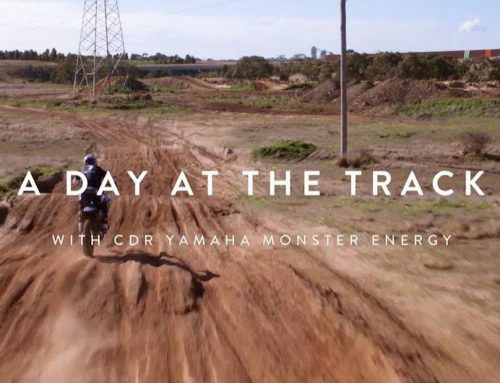 “The track to day was awesome and the club day a great job of preparing the track. It’s nice to get to the mid-way point with the championship with the points lead and I can’t thank everyone on the CDR Yamaha Monster Energy Team for their support,” Ferris ends. 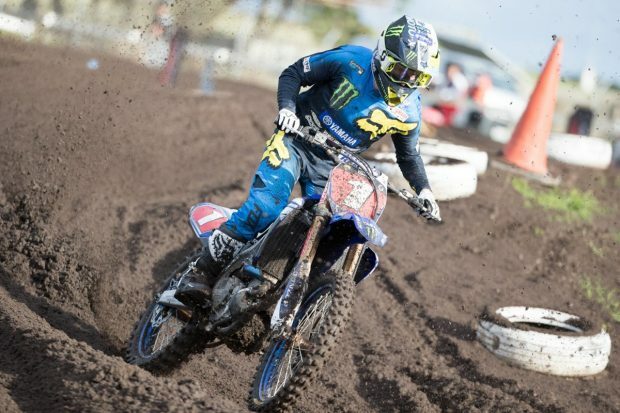 Dylan Long experienced another up and down day at round five of the championship. Long finished eighth in the opening moto but was running up the front in the early stages before coming under siege from the fast-moving pack closing in behind him. But moto two was better he finished in fourth place and the combined 8-4 results landed him in sixth for the round. “Moto one was a bit of a struggle as I didn’t get a chance to settle into the race and was instantly under pressure from the riders behind me,” Long begins. “So, for moto two I tried to keep a cool head, fight for places early in the race and ensure I had good track position as that is so important here at Murray Bridge. “Today was typical of how my season has gone, with one good moto and one not so good moto so I need to work on my consistency and start putting two good races together. My focus during the break will be on applying myself to two races and improving my mental strength to ensure I can do that. “If I can put a full day together, I’m sure a round podium isn’t out of the question,” Long said. Long sits equal fifth in the championship chase. 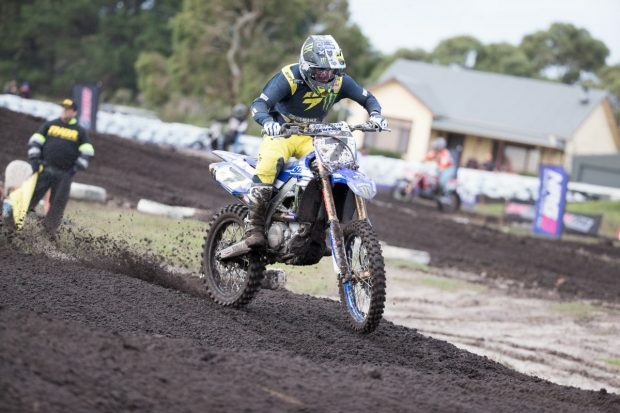 Round six takes place on the rolling grass pastures of Conondale’s Green Park on the Sunshine Coast on July 1. The four week break in the calendar allows teams and riders to review the first half of the season and make any adjustments or improvements as the final five rounds happen in quick succession.